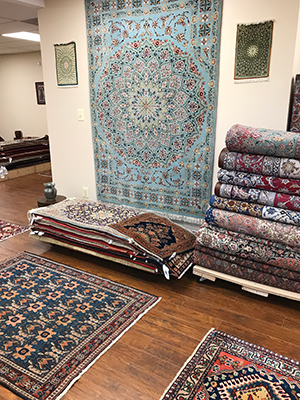 We are located in Montgomery County MD and offer various types of Oriental rug restoration / Oriental rug repair and cleaning for your precious rugs. 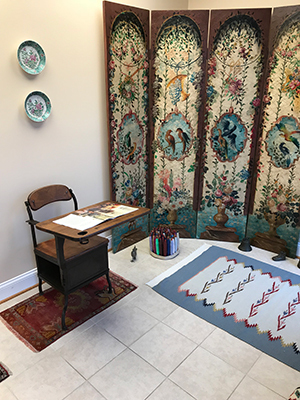 Since 2000, we have served many customers and Oriental rug dealers in Washington DC; Montgomery County, including Bethesda; Howard County and Frederick County Maryland, including Ijamsville and Urbana; and Northern Virginia including Fairfax County and Arlington VA.
We have an established reputation primarily for our honesty, quality and service. 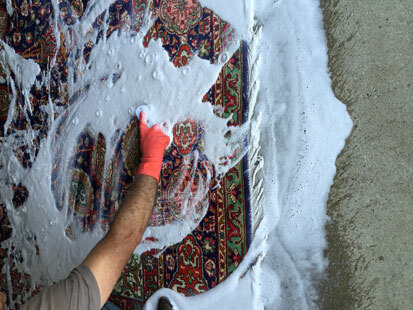 Our Oriental Rug Cleaning, Repair & Restoration business was established in 1984 in Hamburg, Germany, and moved to the Maryland & Washington DC Metro area in 2000. Maryland (MD), Virginia (VA) and Washington DC. Dusting is the first and important step in our cleaning process. 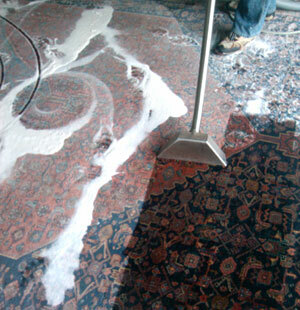 We usually take the most efficient procedure in dust removal. 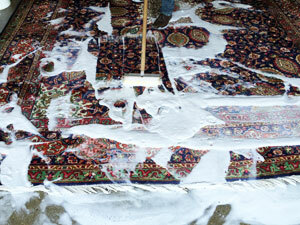 The second step is shampooing, where we use Oriental rug safe soap and detergent. In our process, after hand shampooing, we use clean water for rinsing to assure all shampoo, dirt and grime are removed. Drying is the third step in our cleaning process. 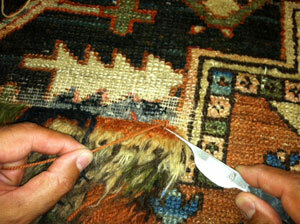 We hang your rug loose to eliminate shrinking and assuring that your rug will retain its original shape. 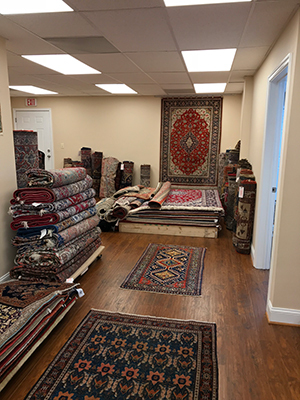 We are located in Gaithersburg, Maryland, and provide service throughout Montgomery County MD including Bethesda, Chevy Chase, Damascus, Gaithersburg, Germantown, Kensington, Olney, Potomac, Rockville, Silver Spring, Somerset, Takoma Park, and Wheaton. We provide service throughout Frederick County Maryland, including Ijamsville and Urbana. We also serve Northwest Washington DC and Northern Virginia.